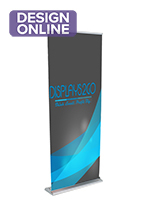 This pop up exhibition display is a stunning accessory for trade show booths with its 3D design! 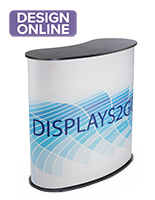 The Micro GeoMetrix™ kit stands on a table, offering a highly visible means of attracting and engaging potential customers. 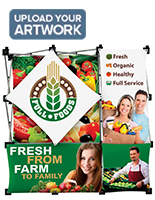 With 3 square tension-fabric panels that are custom-printed with your unique artwork for a nearly 4’ tall frame, this portable exhibition display creates a unique geometric-shaped showcase of your business and products. 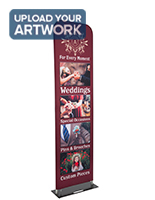 The dye-sublimated graphics arrive attached to the expandable stands, which can be pulled safely with two people for easy assembly in seconds. 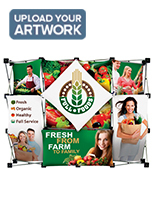 Each of the tension-fabric panels for this tabletop exhibition display are interchangeable, removing from the frame and hooking back on to create new 3D-shaped configurations and help attract customers towards your booth. 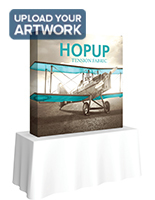 Use the downloadable templates to create your custom artwork and upload for a user-friendly experience. 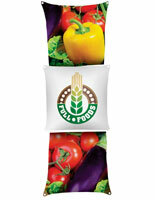 Designed for safety, the geometric graphics have a flame-retardant design, an essential feature for trade show fixtures. 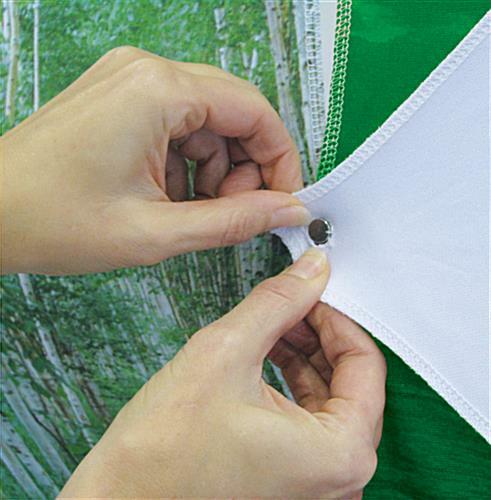 A soft carrying case is included to transport and store the Micro GeoMetrix™ frame. 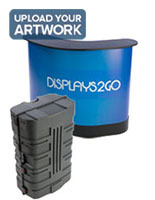 Push the exhibition display from 2 opposite corners to collapse into a compact kit that will fit easily in the travel bag. 15.8" x 43.3" x 20.0"
4.0" x 6.0" x 17.0"